Dr. Sunil Tangri is a renowned Dental Surgeon with a vast experience of 30 years in the field of Dentistry and is the founder and chief of Dr.Tangri’s Dental and Orthodontic Centre. He did his B.D.S from Bapuji Dental College in 1984 and was working in LNJP and GB pant hospital (Delhi) till the 1985. 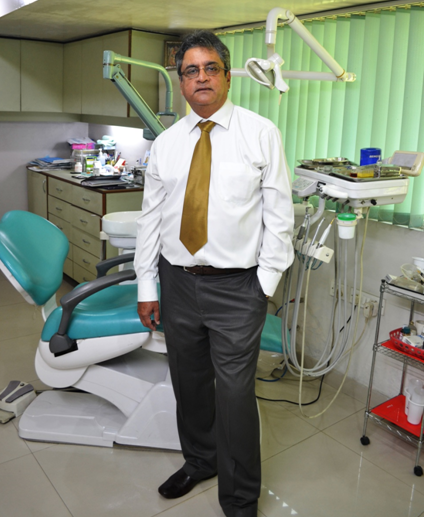 He has been the President of Indian Dental Association (South Delhi Branch) in the year 2011-2012. Also, he has been Executive Committee Member of Indian Dental Association (Delhi State Branch) in the year 2012-2013 and presently, is Representative to IDA (Delhi State Branch).